Article by Nazima Ali, Business Coach and Marketing expert. Starting a business is a scary and exciting time. You’re doing something you love and it will be an exhilarating roller-coaster ride, stretching you beyond anything you thought you were capable of. Having a strong and detailed strategy in place from inception can help you keep perspective, and navigate the inevitable ups and downs with ease. Writing a business plan does not have to be a novel that consumes your valuable time, but it is an important part of your strategy for success. It’s not like you’re heading off in some random direction, with no destination in mind, or how long it might take for you to get there. (if this is how you’re operating, or planning to…then good luck ). Some, or even all of the above might ring true for you…but the attention and effort you put into your strategy now will inevitably lead to you to future rewards. That’s just how it works. As Eisenhower says: Plans are worthless, but planning is everything. So let’s get to it! It doesn’t have to be long, it doesn’t have to be perfect, and it certainly isn’t written in stone. A good business plan leaves room for changes along the way. Here are 12 Steps in creating a simple roadmap to success. Of course, you’ll have thought these points through in your head beforehand, but make the commitment to sitting down for a couple of hours (at most) and writing it all out. This will give it valuable form. Your mission is a sentence on what gets you revved up to do this business. What is your ultimate goal? For example: If your business is a Day Spa – Mission: Empowering people to enhance their natural beauty. Providing a place of escape from everyday stresses. 2. This is where you make 5 big, bold, fearless goals. Specific –What is it exactly that you want to accomplish? Remember: if you’re vague, your results will be vague. Achievable – Set 5 realistic (yet vital) goals for your company’s progress, as opposed to 15 scattered benchmarks that you have no way of achieving. 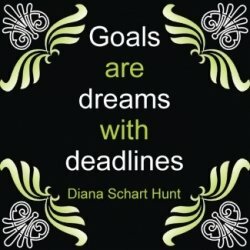 Relevant – How does each goal tangibly move you towards your dream? Timeframe – Break each goal down into smaller chunks to be achieved weekly, monthly, quarterly, etc. Keep a detailed record of your progress. 3. Define how you’ll achieve each goal. What’s your strategy for each? 4. Calculate your approximate annual budget for the plan. 5. 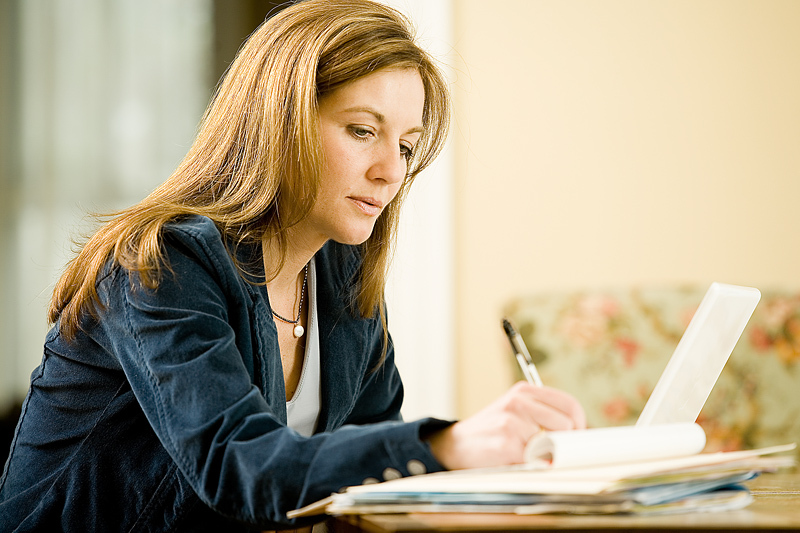 Write down a real-world figure for your business’ income projections. 6. Break down the figure in #5 with brief explanations on your income streams. 7. Here you’ll put down Cost Projections either yearly or monthly. For example: domain registration, office supplies etc. Don’t underestimate! 8. List your immediate income streams. For example: All your services offered now at the Day Spa. 9. List all future income streams. All those daring dreams. For example: Your own line of skin care products at the Day Spa. 10. Put down your credentials. 11. Finally, a few areas of personal growth. If you’re not growing, you’re dying and your business along with you. For example: A workshop to learn about Ayurvedic skincare, or holistic diet etc. – anything that will keep you at the top of your game and make your business even better. Now that you’ve completed the basics, you can go back to flesh out the details on further strategies (a few pages should do it), but this initial outline will serve as your guide. Having weekly or monthly goals will transform your bold vision into manageable and realistic steps on the path to realizing your dream. BONUS: Print this out and put it in front of you on a wall. You didn’t do all this work to save it in a file and never look at it again. Check in on a consistent basis to ensure you’re on track with your goals. Make adjustments as necessary, and you’ll suffer fewer surprises for it. A good way to visualize realistic goals is to picture a dartboard. Realistic: you’re standing just far enough away to make it a challenge to hit the bulls-eye, but each throw will sharpen your aim and get you closer to target. Unattainable: you’re so far away from the board that every throw inevitably falls short – guaranteed failure. Each achievement is empowering so don’t forget to celebrate the small victories along the way to the big ones – it will help you keep the momentum for achieving that final dream! 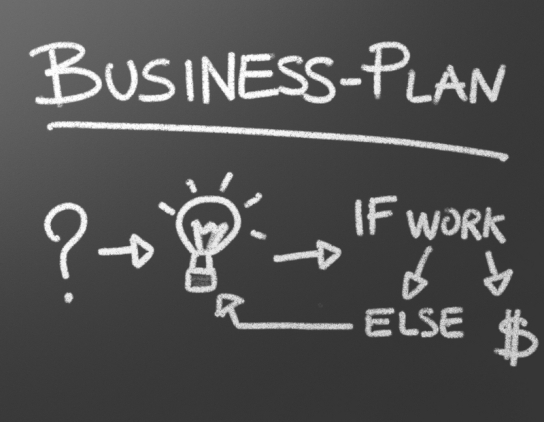 Get started with your FREE One-Page Business Plan Template here.